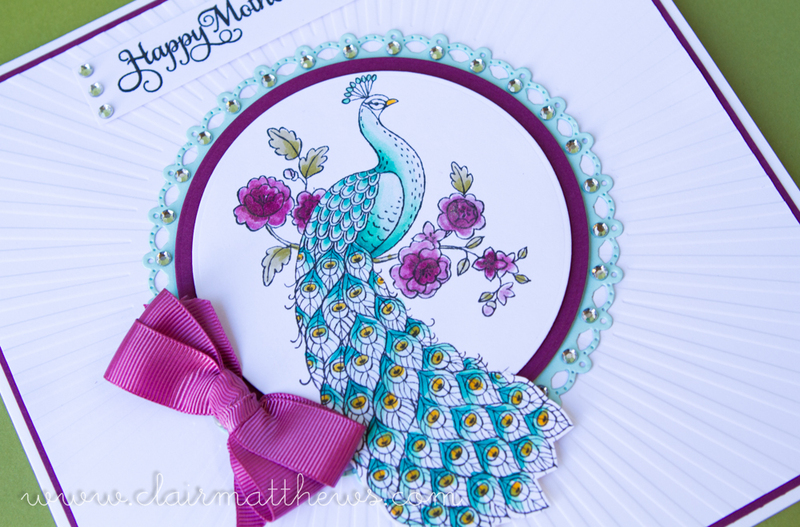 ..I used the lovely Stampin up Peacock stamp, which I really must use more (It's so pretty & surprisingly easy to colour too). I also used a Justrite sentiment stamp & the new sunbeam embossing folder again. 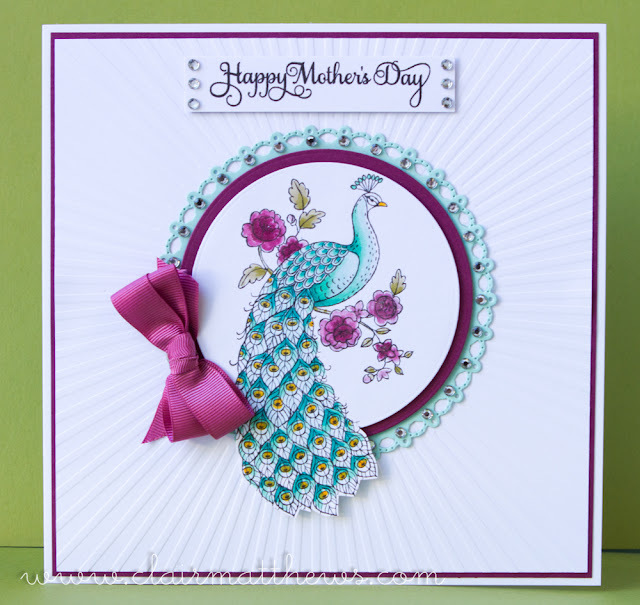 I hope you had a lovely mother's day whatever you got up to! !